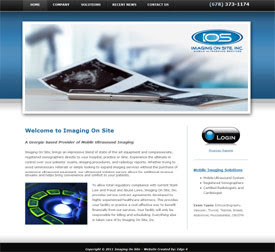 Website Launch | Imaging On Site, Inc. Edge 4 is excited to announce the launch of the Imaging On Site, Inc. website. Edge 4 re-designed their site (from the one we created a few years ago) and we also developed it in The Content Manager so they could easily update their website content. Check it out! If you're looking for custom web design, please visit our website to Get Started getting the Edge for your website! The design and development team at Edge 4 has the experience, knowledge, and creativity to build custom, professional websites for all different industries.